Well, here it is. The final shuttle mission. 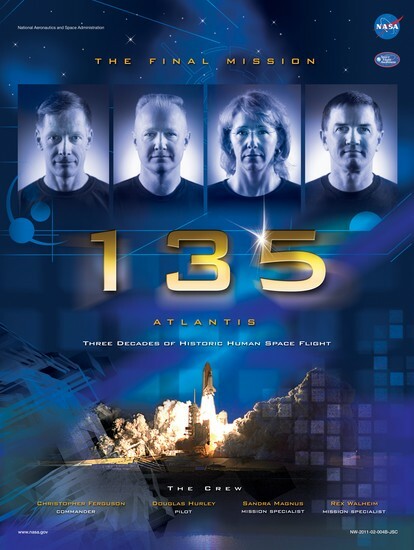 STS-135. Assuming weather permits, it launches today. I can't help but feel a bit sad. While other generations watched in awe as the first men set foot on the moon, I get to see the end of the shuttle program. Take a good long look at Atlantis. 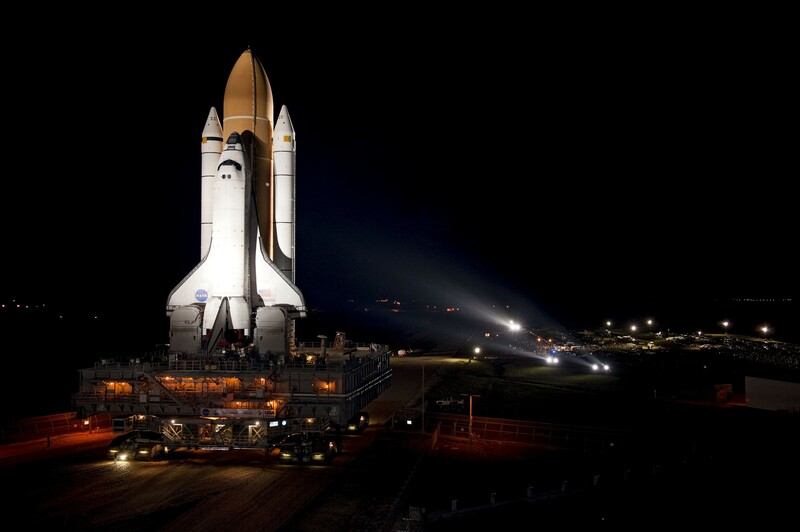 This image is the final rollout of the final shuttle mission. Yes, the shuttles are aged. Atlantis has been in space 32 times before this final mission. It marks the 166th manned NASA space flight, and the last planned. Since the cancellation of the Constellation program, it looks like it is up to commercial vehicles to continue the future of US-based space flight. While I would love to see the commercialization of space, they're just not ready yet. Until then, we are to rely on the Russians. EDIT: I'm happy to report that America's final shuttle launch was successful. I was watching it live on NASA's HD livestream on their website. I don't really think it's sad. Why rely on 30-year-old technology when we could do other stuff? @ Vid: Because don't really have any "other stuff" we can use for manned space flight. I started reading newspapers so I could soak up everything about the Apollo program. It all feels like the end of an era ... and a lot of sci-fi dreaming. Well yeah, why do manned space flight? There's so much in our own world we haven't discovered yet.